I actually missed out on the original Resident Evil 2, much to my shame…so I was finally able to play a version after all these years, and what can I say other than…I wasn’t expecting that. The remake doesn’t have fixed camera angles, tank controls or even load screens between doors like that of the original, everything just flows seamlessly and as a result, makes surviving tougher overall. You are also pursued endlessly by a Tyrant by the name of Mr X, while trying to work your way through the police station and beyond. The remake lets you choose to play as Leon Kennedy or Claire Redfield, but it also has different playthrough styles, new puzzles and new areas that will come as a surprise to fans of the original as well. Simply put, it’s the best of both worlds for veterans and newcomers alike. There are plenty of collectibles to be found such as items for puzzle solving, documents and scattered around the game are little figures of Mr Raccoon that need shooting. You’ll need to do several playthroughs to gather them all, if your nerves can handle it. I thought playing more like a newer Resi game that RE2 wouldn’t have many jump scares or have as much of a tense atmosphere, but I was wrong and have jumped a good number of times, pretty much on par with something like Dead Space 1 or 2. 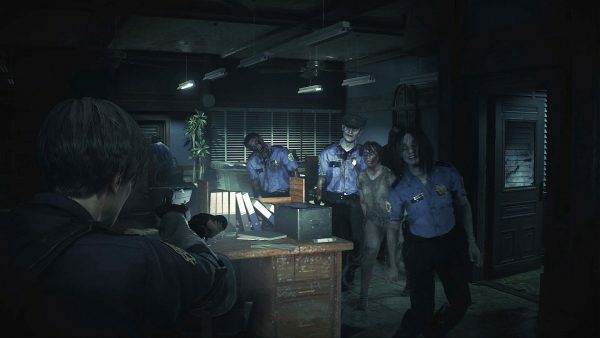 Zombies take a good number of bullets to put down and sometimes it’s wiser to just try and run past them instead of wasting ammo, since it’s limited and if you add Mr X into the mix, running is usually the best solution. Both campaigns take a good few hours to get through, although maybe longer if you get stuck trying to find specific items to progress, along with the other scenarios and there’s even free DLC coming in the form of “What If” scenarios for other characters in the game, something that is new to both veterans and newcomers. Visually, the game is absolutely stunning and terrifying. The cutscenes look incredible and the characters are very well animated. The locations are well detailed, plus it runs smoothly and the load times are average. The story is classic of the series and the voice-acting isn’t too bad, while the soundtrack is impressive and you can even replace it with the original if you have the Deluxe Edition. 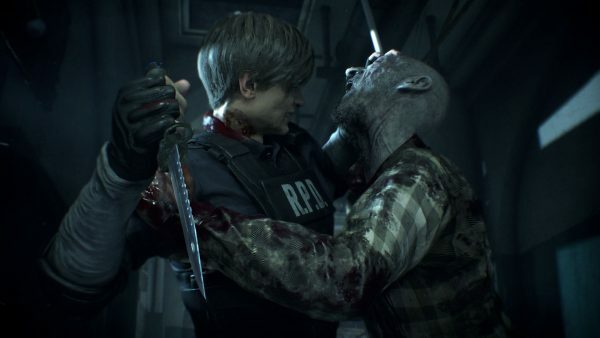 Resident Evil 2 is exactly how a remake should be done. It provides a new take on a classic, while pleasing both veterans and newcomers. Plus with more new content on the way, it’s a great time to dive into Raccoon City.